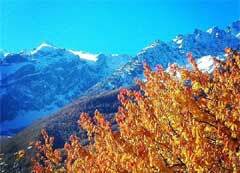 PREPARE FOR A NINTH SEASON RUNNING A CHALET IN MORZINE? GO FULL SKI BUM AND SOFA SURF? OR BECOME JUST ANOTHER IRRITATING HOLIDAY PUNTER? CHRIS TOMLINSON HAS TO DECIDE WILL NEUF BE ENOUGH? It’s that difficult time of year again. August always means a dilemma for me. Do I steel myself, hold my nerve and stick to my post-season decision to make it my last - or will I panic and frantically start making plans for next winter? If panic does set in, I’ll need to act fast to find a new home for The Chalet Project while there are some decent chalets in Morzine still available. The panic is induced because I know that by December, I’ll regret my decision. I’ll have forgotten the tribulation of seasons past - and all the irritations of life in the UK, which drove me to Morzine in the first place, will have resurfaced. 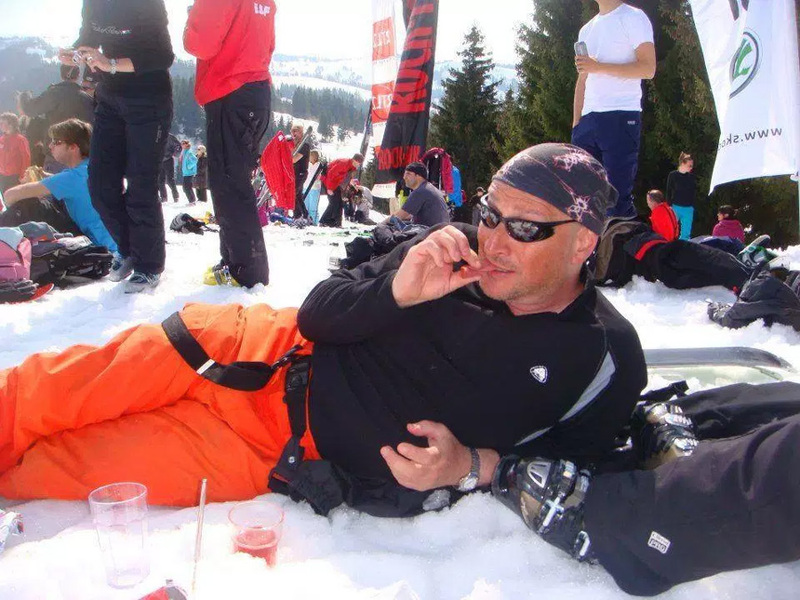 But this summer, it will be the ninth time I’ve faced this dilemma and even the rosiest of rose-tinted glasses, can’t seem to prevent me from making a more subjective assessment: Is ‘doing’ another ski season really a good idea? Maybe just one more will do the trick - but will 'neuf be enough' to get the seasonaire dream out of my system? Unfortunately the pros and cons of going round one more time are equally stacked, making a definitive conclusion elusive. The first and most immediate con is that, even in August, securing a chalet for the season ahead will be torturous. I’ll need to sell the place to others, most of whom will want single beds, en-suite rooms, a jacuzzi and all in a drink-in/drink-out location. Most will also baulk at sharing the cost of such a desirable premises. I may miss a season, but I won’t miss the painful compromises I’ll have to make when choosing (from slim pickings) a chalet that appeals to everyone. Nor will I miss the financial gamble involved. The thought of spending the rest of the summer trying to fill another blank bookings diary fills me with horror - especially knowing there is a sizable chunk of my own wonga at stake. History tells me that I will fill the diary and that by December I’ll be laughing – but an autumn free from sales and marketing activities seems very appealing. The biggest pro is after a summer of toil I’ll theoretically get to ski all winter. But the reality is that during the season I’m lucky to ski more than once a week thanks to 'work', poor snow or bad weather. I will miss those rare bluebird days, where I seem to be skiing without effort. I’ll miss the breathtaking views and the feeling of being at one with the mountain. 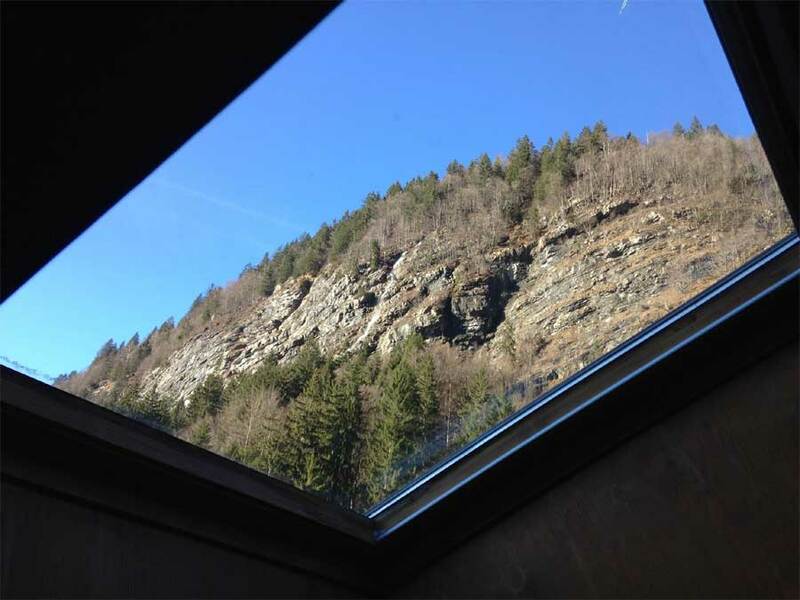 I’ll particularly miss the view my last chalet offered while sitting on its toilet (image below)! I won’t miss the crowded pistes in February and the constant threat of collision with French suicide skiers. I wont miss queuing for lifts and being stranded by their sudden closures in bad weather. I won’t miss dangling in an icy wind, on a stationary chair wondering if the lift has actually broken. I wont miss worrying that guests are not enjoying their day and whether I can get them back to the right valley safely. I wont miss being forced to go 'girlfriend skiing' on a powder day or waiting for people to finish their lunches. Like most good business ideas, The Chalet Project seems to have been ruined by the requirements of its customers. If 'neuf' never happens, I’ll miss my ski club crew and continuing the friendships forged on and off the mountains. I’ll miss the annual updates from my regulars and the French locals who have been so welcoming. I’ll miss the town of Morzine, itself and belonging to its winter community. I’ll miss hacking round the Alps in my beat-up old Land Rover, Landie. I won’t miss the treacherous driving conditions: the roads are often covered with black ice and almost always littered with holiday-head pedestrians. I won’t miss hunting fora parking space in town or sipping halves while everyone else is getting plastered. I certainly wont miss driving the old girl across France in January and back again in April when both of us are equally battered. I wont miss the seven-day working week or the unsociable hours. I wont miss the drunken tourist, the stag and hen parties all on a familiar mission. I won’t miss the ground-hog conversations with new guests and the social exhaustion of living with strangers. I will miss meeting new people, even though I often regretting doing so 10 minutes later. I could, of course, dispense with the guests and go 'full ski bum'. Rent a room in a squalid flat and ski/eat/drink/sleep then repeat, for an entire season. Perhaps, with a few modifications, I could make Landie habitable and sofa surf in really cold weather. But I’d have to ingratiate myself with someone every time taking a shower crept to the top of my agenda. Despite being short of material for my next book even I can see that being a disaster. Maybe after eight seasons I’ve simply become blasé about the pros of being a geriatric seasonaire and I’m blowing the cons out of proportion. If you do anything for too long you always become dissatisfied with your lot – its part of the human condition. Perhaps spending a grey winter in England will sort me out and rebalance my objectivity? I’ll go on a few skiing holidays of course and check out new places, but I’m not sure I’ll like being in a ski resort where no one knows my name and I’m just another irritating punter. Should I hang up my pinny, the thing that I would miss the most, is the existential gratification. Sometimes, when things are going well, I get a warm feeling of self-satisfaction. I’m living an amazing life in an amazing place of my own choosing. Having sacrificed many things (some unintentionally) for that life, to deliberately give it up, would make those losses less palatable. However, sooner or later my knees will force me to quit so The Chalet Project needs to evolve with age, along with its proprietor. Right now, in August, I’m just not sure what it’s going to evolve into. Copies of Chris’s first two books Skiing With Demons I and II can be bought here.